While there are lots of photo editors that will let you improve your photos or stylize them with various effects – most have a steep learning curve. That can be off-putting, especially if you were hoping to make some quick adjustments. One notable exception to that rule however is PhotoWorks – and it may interest you to know what it can do. 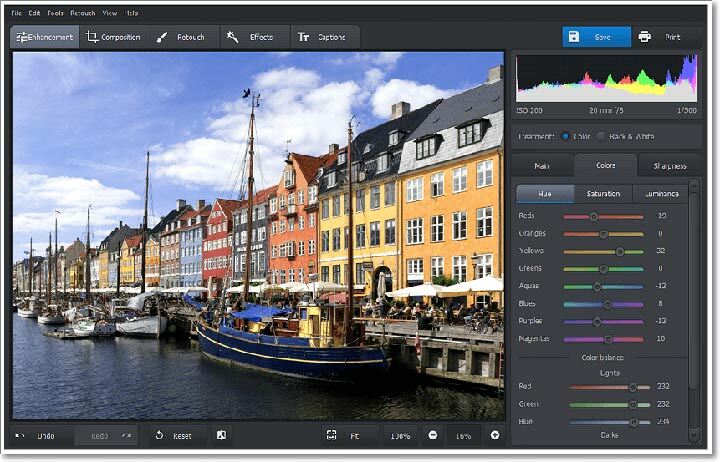 In a nutshell PhotoWorks is a user-friendly photo editor that has an intuitive design. Its user interface, features, and tools are all optimized so they feel natural to use and can be applied without any prior experience. Rather than making you navigate through complex menus, PhotoWorks has a simple tabbed navigation that neatly sorts and groups its features to make it easy to find what you need. Once you do locate the right feature, it can normally be applied with just a couple of clicks or other basic actions. While its focus is on providing an exemplary user experience, PhotoWorks is far more powerful than you may assume it to be. But the best way to see how easy it is to use and what its features can do is with an example. Although film grain is technically a defect from the age of film-photography, many photographers nowadays try to mimic it as it can provide depth and make photos look more vivid. Normally it would be a difficult effect to pull off – but in PhotoWorks it is easy to add grain to a photo. 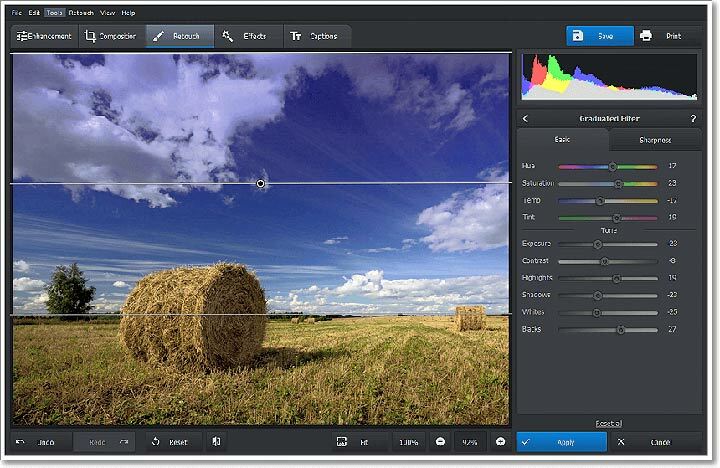 After you launch PhotoWorks and load up the photo that you want to edit, you can open the Tools tab and select the Grain button in the sidebar. In the settings you can then adjust the amount of grain as well as its appearance – using the convenient sliders to control the shadows, midtones, and highlights. That is really all that it takes, and as you play around with the sliders you’ll see just how much control PhotoWorks gives you over the film grain effect. 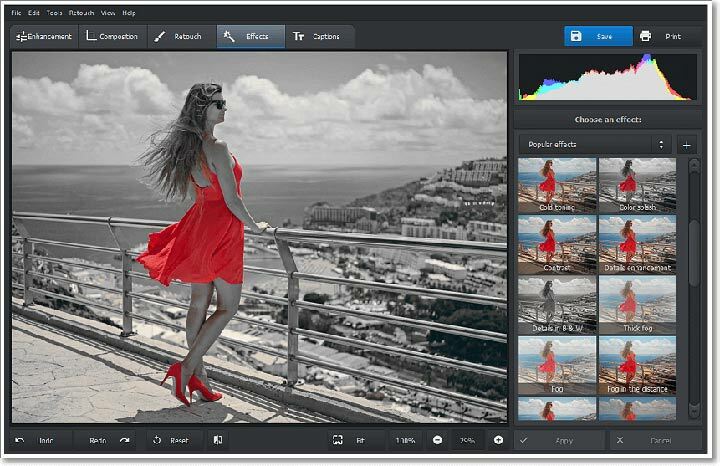 Enhance the colors of photos to make them look more vivid and fix any issues such as overexposure or underexposure. Remove people, objects or other unwanted elements completely from the composition. Touch up portraits to remove blemishes, change hair color, edit eyes, whiten teeth, and more. Add text elements and customize their appearance to create captions, watermarks, titles, and more. Fix any issues that may be present including red-eye, tilted photos, lens distortions, blurry images, and so on. Apply numerous filters and effects to stylize photos and make them look unique. All the features listed above are really just part of what you can expect to find in PhotoWorks. 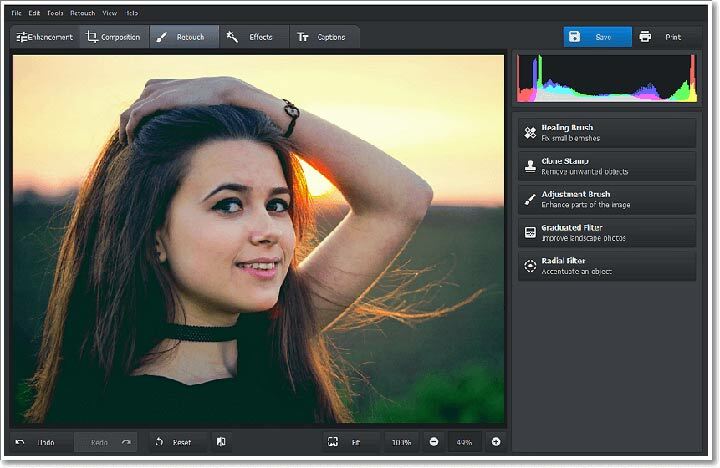 Suffice to say it is a comprehensive and powerful photo editor, while still managing to provide an intuitive and user-friendly approach that is second to none.